The 2010 regular session of the General Assembly is now history. I recently wrote about two bills the Grange was pushing hard to get passed. I am very happy to report that both bills passed the General Assembly and are now waiting for Governor Rell's signature. Her staff attorneys are now reviewing them, which is standard procedure for all bills submitted to the Governor for signature. House bill 5419, now Public Act 10-103, will allow farmers to make pickles and salsa in their home kitchen for later sale at their farm stand and farmers markets. House bill 5446, now Public Act 10-92, will exempt agricultural fairs from the requirements of the mass gatherings law because the fairs already work close enough with their local officials that all the appropriate local agencies know about the fair well in advance of the dates it is held. By law, Governor Rell has 15 days to either sign these bills into law or veto them. If she does not act on them within the 15 days, they automatically become law without her signature. Our one big disappointment is in the budget. The General Assembly moved $5 million from the Community Investment Act Fund into the General Fund to help balance the budget. The community investment act funds are divided into four equal amounts for farmland preservation, open space preservation, historic preservation and affordable housing. This means $1,500,000 was taken from the State's farmland preservation program to help balance the budget. On the bright side, there were no new taxes imposed which would have been necessary without taking money from many other sources. Also on the bright side, the General Assembly did not take as much from the Community Investment Act funds as they took from several other special purpose funds. Considering the overall economy and the State's finances, we really cannot complain about losing some of the Community Investment Act money. Passing legislation is a never ending process. The Grange legislative program is based on a "grass roots" philosophy where everything starts with the individual members and their local Subordinate Granges. Most every member has said there should be a law about something at one time or another. Now is the time to start drafting resolutions about whatever you want to see changed, whether it is at the local, state or national level. You can also draft resolutions to change things within the Grange, whether it has to do with our programs and activities, how we conduct our meetings, our ritual work, or any other matter you think should be added, dropped or changed. Some resolutions have already been submitted to the State Grange office for consideration at our annual session in October. It would be great if they were all submitted in time that they could be distributed to the Subordinate and Pomona Granges in time for their September or early October meetings so the delegates would know the opinion and feelings of their Granges when they vote on the resolutions at State Grange. One of the responsibilities of the State Grange Legislative Committee is to help granges and individual members write resolutions. There are also a number of members throughout Connecticut who are experienced at writing resolutions and will be glad to help. The first draft of your resolution can be very general, just saying what you want changed and why you want it changed. In the past, the State Grange Legislative Committee has helped individual members write resolutions before they are presented to the member's Subordinate Grange, helped Subordinate and Pomona Granges revise resolutions into final form after they have been presented to the grange and helped revise resolutions on the floor at our State Grange session. We are here to help. 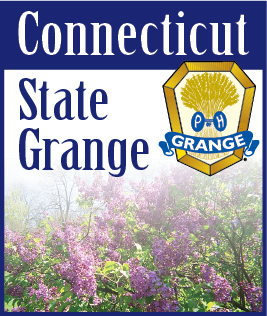 All you have to do is contact any member of the State Grange Legislative Committee with your idea.